No way in hell am I naturally "good" at this game, it took me almost 200 hours to get to this level of competence. When I first played I was as bad as most people. 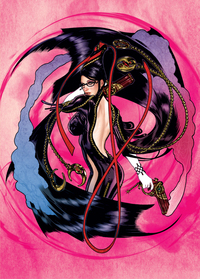 Alternate cover for the Japanese Platinum Hits release by comic book artist Adam Hughes. Amongst the spiritually powerful of the Middle Ages, it was thought Paradiso held for all a Divine Will, and as a result, they developed heavenly logic. The concept of the "Cardinal Virtues" was born of this logic, and classifies Paradiso's Divine Will into four broad groups. These Cardinal Virtues occasionally become physical manifestations of the great intentions of Paradiso, and are known as the Laguna, inspiring awe in the masses. 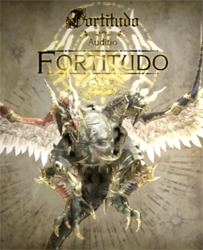 Personifying courage and fortitude, Fortitudo has been depicted as a terrifying being sporting an enormous face and two dragon heads. He is said to be capable of summoning magma flows at will. An enigmatic raven-black bird shrouded in the mysteries of the sky. 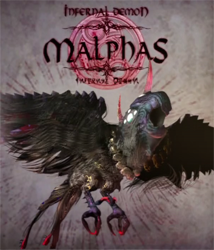 Ever curious, Malphas has filled itself with all the world's knowledge and mysteries. However, this same curiosity has led to a rather brutal demeanor, causing the bird to tear those it encounters to shreds with its sharp beak and razor-like talons.